The Wing is bringing the physical world it’s created for professional women to the digital world with the launch of a social networking app, slated to become available later this month. The co-working company created the app in partnership with Prolific Interactive to connect its members and keep them up to date on The Wing’s programming. For now, the app will only be available to paying Wing members. 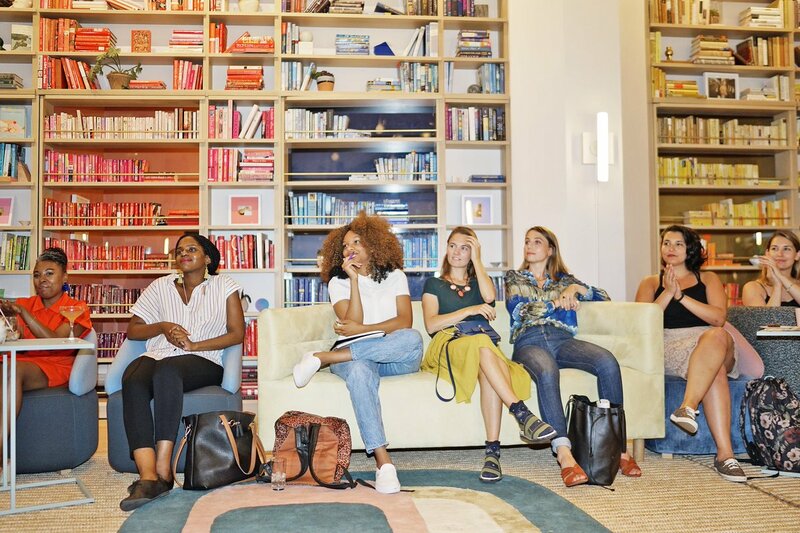 Founded in 2016, The Wing provides co-working and community space to women. It’s raised $40 million in venture capital backing from top-tier investors like Kleiner Perkins and NEA. WeWork has also noticed the value in The Wing’s female-first model; the co-working behemoth led its $32 million Series B last November. As it stands, the company has just four locations in two states: New York and Washington, DC. A San Francisco location is expected this October, and West Hollywood, London, Toronto, Seattle and Chicago locations are all in the pipeline. To enjoy The Wing’s many perks—brass & millennial pink decor, shelves of color-coordinated books and exclusive access to events featuring Hillary Clinton or New York Senator Kirsten Gillibrand, for example—it’s not cheap. Wing members pay $215 per month for access to a single location. But compare that to the price of a desk at a San Francisco WeWork, about $400, and it’s not so bad. The Wing also provides lactation rooms, “beauty rooms,” a library, food and drinks, and more. In addition to being founded by two women, Gelman and Lauren Kassan, the company also boasts a majority female staff—a rarity for a company backed by venture capitalists. That includes Lina Dorkhman, who The Wing hired six months ago to lead development on the app. She’d spent the last 3.5 years at BlackRock as an associate. “I was actually a member first and when I saw that they were hiring a product manager I thought it was a perfect fit,” Dorkhman told me. She says The Wing wanted to create a product that recognized women as not only professionals, or parents or friends or siblings, but all of those things. The idea for the app stemmed from member feedback, which asked that the company provide more digital components.